I took the winter 2018 winter part-time web development class with Jazz and I can confidently say I am 100% satisfied with my decision in taking the course at HackerYou! - Content: up to date with the industry and they are always refining their curriculum – in fact, before our final class there was a last minute addition to teach something new and exciting in the developer world with CSS Grids (we were the first guinea pig class) for something they may want to include in future classes. - Instruction: Concepts were easy to follow along and you are able to build upon the knowledge previously acquired class-after-class with a ton of in class code-alongs and applying the knowledge through in-class exercises and multiple projects over the course of 12 weeks. The best experiences were introductions of tools that would change how we approached writing code or improved our workflow. Lots of tips and tricks and online resources! The instructor and mentors were always there when you were in a rut and proactively checked in on you to see how you were doing. - Community: Ultimately what led me to choose HackerYou. Heard many things about the kind of environment HY prides itself in and I can say this is very much true! Many if not all (to my knowledge) of the instructors and mentors are past alumni students that have gone through the same program. They have a very active alumni community and its encouraged to reach out to alumni for questions which I did, and found them to be very approachable for questions or any kind of support. This is super important should you pursue something further into web development. Overall would definitely recommend this course to anyone who always had an interest in improving their ‘digital skills’ and a starting point into a web development career. I just recently finished taking the Part Time Web Development program at HackerYou and I must say, I am extremely pleased with the experience I had. I am 35, married with two little ones and I had been looking to change career paths for a little bit, having been in my past position for 9 years and not seeing myself going any further in it. I have a bit of self-taught web design / development experience and some programming experience from college but never took a serious pursuit to web development. When I decided on a career change, I came back to the desire to pursue web development and began with some online courses and reading some books, but felt that I wasn’t making the progression I had hoped. After doing some research about programs to take, I came across HackerYou and was intrigued by the programs they offered and what they stood for. After reading all the reviews I could find, highly touting the programs and the instructors, I decided to start out by taking their Part Time program first. I am extremely pleased with that decision. The instructors and staff at HackerYou are all extremely knowledgable, friendly and helpful, many (if not all) were also former students here themselves. The program was very well laid out, spending ample time on each topic to ensure that the class was able to grasp the concepts. I especially love the ratio of instructors to students, ensuring that the students were able to get their questions answered and the help they need, while still continuing on with the lesson. I previously worked in the book publishing industry which I loved, but I knew for a long time that when I was ready for a change that I wanted to work in web development. I knew I wanted to go to HackerYou because I had heard so many good things about the community there, and I really respected the way it had evolved from Ladies Learning Code. I had taken some two-day workshops there and loved the experience. When my family and I decided we were ready for me to take the plunge, I did some more research comparing HY to other bootcamps in Toronto, which only cemented my decision. The most difficult part about the career change for me was that I have a young family at home. The workload in the bootcamp is very heavy, and I needed a ton of support from my husband and my family in order to be able to tackle it. Outside of class, I needed all my evenings and weekends for homework. The fact that the course is nine weeks long made this achievable for all of us because there was a light at the end of the tunnel, and not a moment of those nine weeks were wasted which made it all feel worthwhile. It's amazing how much you can learn in two-months with the right support system. Throughout the course I was really impressed by how much care and attention went into every detail. As we were learning the instructors would make notes as they went. After ever cohort they take weeks to re-evaluate and iterate on the course, and they're constantly updating the curriculum to ensure HY grads are on the cutting edge, so that the class I took was different than the class my friend took a few months before me, and different than the one another friend is taking now. You really have the feeling of being part of a well-oiled machine, but also on the edge of something new. There are layers and layers of mentorship built in. The staff and instructors and fellow students are all wonderful, but there's also a huge component of alumni mentorship and involvement which I think really speaks to what HackerYou get's right. The students in my cohort came from all different industries and backgrounds, with different strength and challenges, and HY really created an environment in which we all could thrive. We became very close as well. In addition to the really supportive class environment, there's a support system upon graduation as well. I've never seen anything like the program they have in place to help students get work out of the bootcamp. I was lucky enough to get my dream-job right out of school, thanks to a connection I made in the HackerYou-organized networking event. And now that HY's been in action for some time, it's getting a reputation built on the quality and success of it's grads. I really felt it opened a lot of doors for me. 10/10. I'd do it again. I’ve been working as a developer in telecommunications for the past several years, but am learning new skills to transition into web development. The HackerYou Full-Stack course has been an ideal journey through the ins and outs of a modern web stack. It takes students from the front-end, to the back-end, to the database, and explains the roles of and coordination among various parts of an app. Along the way it covers up-to-date best practices, options for tools, and fundamentals such as computer science concepts and clean coding practices. The course manages to get across a breadth and depth of knowledge far beyond what I would have thought possible in nine weeks of part-time. HackerYou is also a wonderful community and supportive learning environment. The teachers and mentors have a deep understanding of their craft and communicate the material with clarity, charisma and humour. The staff, students, and partners of HackerYou always seem happy to help each other learn. I’m applying what I’ve learned at my time here to my current job and in my job search, and feel that I’ve really leveled up as a developer as a result of the course. I have nothing but good things to say about my experience, and I won’t be surprised if I find myself taking another course or workshop here in the near future. I have taken Web Development, Winter 2018, which is a part-time course of six-hour lectures each Saturday, running for 3 months. I based my school choice on the reddit posts about programming academies around Toronto and on CourseReport reviews. Hackeryou got the most glowing reviews. The school occupies a bright open-space floor in downtown Toronto. The location has study area, classrooms and a kitchen, so it is possible to bring lunch. The space is very inviting and reminiscent of a sunny airy café, rather than a school. Every lesson has a main instructor and two mentors present so each student get enough attention to have their questions answered. The instructor and mentors were very supportive and available either during class or online to answer any queries. Teaching staff are all employed in the programming industry so they speak from the most current experience, which is a big plus. The projects are mostly recreating existing website mock-ups, which is a great way to apply the skills learned right away. I was very impressed by this part time web design course at hackeryou in Toronto. It was well taught, and had a good mix of high level overview with detail that was necessary to learn how to do basic web design using HTML and CSS. Let me put it to you this way -- I am 53 years old and starting working with computers when they ran on magnetic tapes... this course was so useful that when my 25 year old nephew came over one day he was like "what dude, you know this stuff?". It is also useful because as a guy who works doing projects that often involve systems, it is interesting to see how complex this stuff can be. I spent 12 years in logistics & distribution. But in the last few years, after attending a few workshops and conferences, an itch to pursue coding led me to study it in my spare time. Self-discipline allowed me to develop the skills needed to get accepted into the full-time HackerYou bootcamp. In late 2017, I decided to leave my stable career to pursue this new and unknown path that I was so passionate about. I was really nervous before starting this program, constantly wondering if I made the right choice. The timing in my personal life wasn’t ideal and I knew that commuting from Hamilton every day for 9 weeks was going to be challenging. I was also worried that I was too old or that I wouldn’t relate to others in the program. I was also concerned that I would never be able to find a job. It was 9 weeks of 13-14 hour days, but in the end, the right choice. The days didn’t feel long at all because I enjoyed what I was learning and doing. I can also say that I made a lot of solid friendships, and that all the folks in my cohort were wonderful to learn with and spend time with every day. The learning environment at HackerYou is mega supportive. There is always someone willing to help you whether it’s an instructor, administrator, peer or even alumni. And while I love all the instructors, Ryan Christiani is one of the best teachers I’ve ever had. His ability to look at what you’re doing (even if it isn’t the way he would do it) and guide you through next steps makes him truly awesome at his job. I'm SO glad I enrolled in HackerYou's part-time Web Dev class! The facilities are amazing, totally top notch and it always feels like your space as a student. All of the staff and instructors are friendly, approachable and super helpful when you need some extra help or guidence. The way that they teach code is really what sets them apart from other classes. It's not just about learning something and moving on, it's about building and finding out how different concepts interact with each other. I've left the program with 3 amazing websites and I'm looking forward to taking more classes in the future. I took the part-time web development course and learned A LOT. I came in not knowing much about making a website, by the end of it, I had a site complete and functional. The instructors are great, friendly, and very helpful. Went to a few bootcamp web development schools in Toronto, HackerYou felt like the best one and I'm glad I chose it. Plan to take the full-time program in the summer! PT Web Dev @ HackerYou! The BEST! I interviewed a number of Tech Schools prior to deciding on HackerYou for the Part-Time Web Development course. I chose HackerYou because of their genuine care and positive atmosphere, their great close-knit community of alumni and their strong curriculum. The teachers are amazing, the mentors are outstanding and I found myself in an environment where everyone was rooting for me to learn and succeed. I have learned so much from this course and I feel well positioned to start a career in Tech. 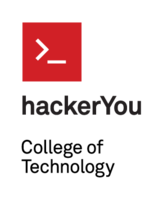 I'm proud to now be a HackerYou Alumni and to give back to the community just like they have given me unconditionally. I took part in the 2017 Fall Part Time Web Development class at HackerYou and thought the experience was great! The instructor, Robin, and the mentors are all incredibly helpful and always willing to help if you're struggling with concepts. Also, the projects are fun, really push your creativity and to apply the skills you learn in class. It is a lot of content to go through in a short amount of time but would not hesistate to take another class. I took a part-time Web Development course starting in 2017. I'm now almost finished, and I'm incredibly impressed with the quality of the learning environment at HackerYou! Everything about the process felt very personal and designed to help ensure that I succeeded, from the personal interview before taking the class, to the (extremely detailed and helpful!) individual feedback on my projects. The notes system that HackerYou uses is fantastic. I was amazed at how much I was able to learn in such a short period of part-time study. Robin is an excellent instructor, and my mentors Jeanne and Angel were always approachable and helpful. I never felt intimidated or uncomfortable in the class environment. Overall, the part-time program was a fantastic experience and investment, and I felt very prepared to apply for the Web Development Immersive after taking it! I also really appreciate that HackerYou offers a variety of class times for their part-time program, including Sundays! I live in Guelph and work Saturdays, so I was afraid that the program wouldn't be an option for me, but the Sunday class time was perfect. I can't recommend HackerYou enough! If you are looking to give Web Development a try, these classes are great! I took HackerYou's full-time immersive front end development bootcamp in Fall 2017, and I can say without hesitation that it changed my life and completely refreshed my outlook on not only my career, but also my attitude towards challenges, and going after what you want. Prior to attending HackerYou, I was attending university and felt very disillusioned with the program I was in. I was five years into a bachelor's degree that I wasn't passionate about, and the prospect of committing my time and energy towards a career in the field filled me with dread. I felt as though I had hit a dead-end; almost all my student loans were used up, I hated what I was going to school for, and couldn't think of anything else I wanted to invest myself in. By chance, I went on a date with someone who mentioned HackerYou's amazing full-time immersive bootcamp. After taking their part-time HTML/CSS course to feel out the school, I dropped out of the university program I was in and went on to take the full-time immersive bootcamp. I can honestly say it was the best decision I have ever made, not only for my career and education, but also for my growth as a person. The bootcamp is definitely challenging (I did cry on more than one occasion), but is so worth the time an effort. Half a year ago I felt both directionless and passionless in regards to my career, and I now have a career in a field that I love, and have the desire to learn more and become the best developer I can be. I took the part-time web development hoping to just add a new skill set. I ended up learning and enjoying the course so much that I applied for the full time immersive bootcamp. The instructors are extremely knowledgeable, patient, and are able to speak from real life experiences in the industry which is extremely practical. If you are not able to picture yourself using something that you are learning, you will get real life examples from three different sources as to how that might be useful to you. Following along during the code-along is extremely helpful because the instructors take you through their step-by-step thought process which gives you a really good example of how to approach your own projects. This course will surprise you as to how much you can learn in such a short amount of time. Would highly recommend taking a course with HackerYou. I came to HackerYou looking to make a major life change. I switched careers and left behind the industry I knew, deciding that investing in my education would be my first big step. I've always been interested in tech, but wasn't sure what to expect (or honestly, what I was truly looking for). I can say with absolute confidence that my experience at HackerYou has transformed my life for the better. The curriculum was fast-paced and results-based; I had to work hard to succeed. However, with the support of the teaching staff and my fellow classmates, I was a part of an open-minded and collaborative environment that helped me reach my potential. My path to this point has been somewhat winding and uncertain; the community that I became a part of gave me the clarity to define my goals, and the resources to be able to relentlessly work towards them. Post-graduation, Heather was in my corner as I made the decision to push myself further and acheive my (seemingly impossible) goal. Spoiler alert: I acheived my seemingly impossible goal. I'm proud of the career that I have created; it started with attending HackerYou. I took the Fall 2017 Part-time web development course and loved every minute of it! The courses were challenging in the best way -- and I'm amazed at how much I was able to learn in just a few months with absolutely no prior experience. Tom was an incredible instructor! And all the course mentors were awesome as well. Love the projects we did during the class and it was cool being able to come out with a portfolio. Already the skills I've learned have helped me in my current role where I work closely with developers. Can't wait to take more courses at HackerYou in the future! Coming to HackerYou, I had minimal coding experience. It’s a terrifying prospect, learning a whole new skill, starting a new career. The most amazing thing I have found in HackerYou is the support and community they’ve given me. Literally every person on staff at HackerYou is invested in your success and will do what they can to make sure you’re successful. From the instructors taking the extra time to make sure you deeply understand the programming concepts over the specific syntax of a language, to the guidance Heather offers in your job hunt, the course is designed to push you to get everything you possibly can out of it. In five months and with a Herculean effort from the HackerYou community, I have gone from being a graphic designer to starting my first job as a full stack developer. I can honestly say this is not something I could have done on my own – my success is entirely thanks to the extraordinary commitment of the people here to help you through the full process. The people who come to HackerYou love HackerYou for that reason. As long as you’re willing to put forth your best effort, the whole community surrounding this place has your back and will make absolutely sure that your experience is not one you will soon forget. The learning environment at HY is very clean, modern and easy to focus in. Notes are all available on an online format, so we don’t need to carry around textbooks or scramble to take notes during class, as they will always be available. It’s a fun and extremely inclusive learning environment. The mentors and instructors were super encouraging. My main mentor, Tom was very entertaining and clear. That, along with the code-along style of learning made it easy to retain information, and if I ever forgot anything, I could look it up in the online notes or ask mentors for help before class or on Slack. There is a lot of time before classes to ask mentors for any help, and they hosted office hours a couple of times throughout the course, so it was easy to come in and get one-on-one help with projects. After projects were submitted, we each had 10-20 minutes of detailed feedback. I like how there are no tests or grades. I'm in the last days of the part-time web development class and it has been by far one of the best learning experiences of my life. The instructors are knowledgeable and engaging, there is more support than you know what to do with, and the school constantly impressed me with it's dedication to creating an inclusive safe and inclusive learning environment. The whole experience has been challenging and inspiring in the best ways possible. I took a part-time Web Development course in the Fall of 2017 and let me tell you, I've never enjoyed school this much before - didn't know school can be fun! Hacker You has been a great experience for me. I don't know how they manage to teach you so much in a short period of time - but they do! All in a very supportive environment. Instructors and volunteers are 100% focused on setting you up for success and will work with you to make sure you are always on track. For now, I will miss my coding week nights but I hope I will find my way back to Hacker You sometime soon! I took the Part time web developer course and i had literraly no coding experience. Sarah and her team were an excellent help in learning this new skills . I managed to do couple of projects just in 2.5 months . Its really good and very helpful . Very nice and neat organizing organised couse and easy to go through . The Hacker You Team does an amazing job and there are always there tu help. Definitely i would recommend any course at HackerYou. I took the bootcamp after deciding to make a career shift from eBook development to web development. I had taken the part-time web dev courses about a year before bootcamp started, after hearing about them in a Canada Learning Code workshop I took to get my feet wet. I loved the part-time course (I took it with Anne Thomas, who was amazing) and had taken a couple peeks at the bootcamp that was running at that time so I was 100% invested in doing the bootcamp at HackerYou. Ultimately though the best part of HackerYou is its team of people, from staff to alumni to everyone in between. Their energy and enthusiasm is infectious and makes learning 24/7 super fun :) HackerYou completely changed my career and for that I can't thank them enough - I truly feel that I have so many more doors open to me now. Can't say enough good things about this place!